Stoppers Ancient Egyptians, Greeks and Romans and, just how big is the cork business? Cork stoppers were found in tombs from ancient Egypt, tombs dating back thousands of years! On the ancient Mediterranean Sea cork was used to make buoys to float fishing nets. During the same time people also made sandals out of the naturally shock absorbing material. Stoppers and corks for wine and olive oil containers were common place in olden days – in fact, it was the ancient Greeks who discovered when cork was stripped from the tree, a new sheath of better quality quickly formed. The Romans, put cork to a wide range of uses. They recommended making beehives out of cork, because of its low heat conduction. The Romans employed corkwood planks in the construction of their homes, a tradition to today in North Africa. The people of this mighty empire referred to cork being used to float anchor ropes and fishing nets, to seal vessels and to produce women’s shoes for the winter. Fishermen also used cork to fashion life jackets – even way back when, people appreciated the versatility of cork. 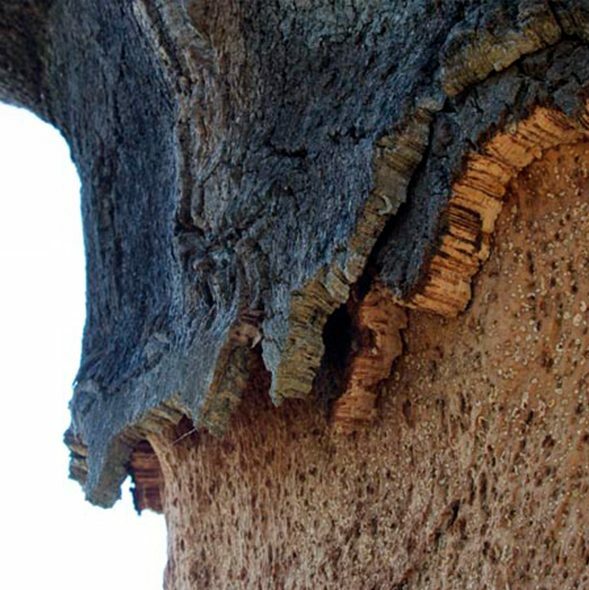 Cork is the outer bark of an evergreen oak known by the Latin name Quercus (oak) Suber (cork). The first stripping occurs when the tree is between 15 and 20 years of age. Subsequent yields follow at 8 to 10 year intervals. 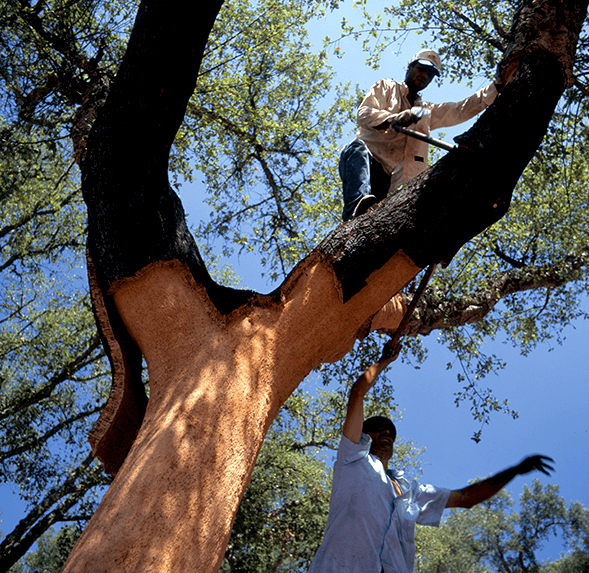 Today, the center of the world’s cork oak forest is concentrated in Southern Europe; Portugal, Spain, Italy & France, which accounts for 65% of the cork oak production. North Africa has the remaining 35%. The total land surface occupied by this oak is 2.2 million hectares (5.434 million acres!) of which Portugal and Spain alone represent 54%. The industry employs more than 20,000 workers in factories and commercial departments! In addition, the industry has 10,000 seasonal workers for the cork harvest and the maintenance of the oak forests. The total international sale of cork and cork products exceeds $1.8 Billion U.S. Dollars annually. Of this value, the cork stopper is $1.5 Billion U.S. Dollars, while the sale of agglomerated cork, cork flooring, and other related products is $300 million U.S. Dollars. From a continental prospective, European producers generated the highest dollar sales of exported cork products in 2017, or 93% of the global total. Asian exporters placed a distant second at 2.4%, while 1.7% of total shipments originated from North America.